Rothschilds Abandon the Dollar. Something Big is Boiling in the Pot. By DNI, Source The Money GPS. Well, we are definitely getting closer to the Global Reset, as the big rats are fleeing the sinking ship of the US Corp. The analisys below is made without taking into account the Global Currency and Financial Reset and the Event but it give us a clear idea where the Cabal Financial System is heading to. The banking establishment has been talking about a bull market inequities. They’ve discussed how this bull market will never end and that if you take the opposite side of the bet then you’re causing the problem. Apparently one man is starting to take that opposite bet. We are talking about the Rothschild Investment Trust. In a report provided by RIT we can see the difference of what six months can make. The image shows the net asset value by currency in terms of percentage at the end of last year versus just six months later at the end of June 2017. It shows a significant reduction in their exposure to US dollars, a sell out of Yen and instead they have increased their exposure to sterling as well as the euro. Things have significantly changed, it seems that they’re concerned that this bull market may not continue. 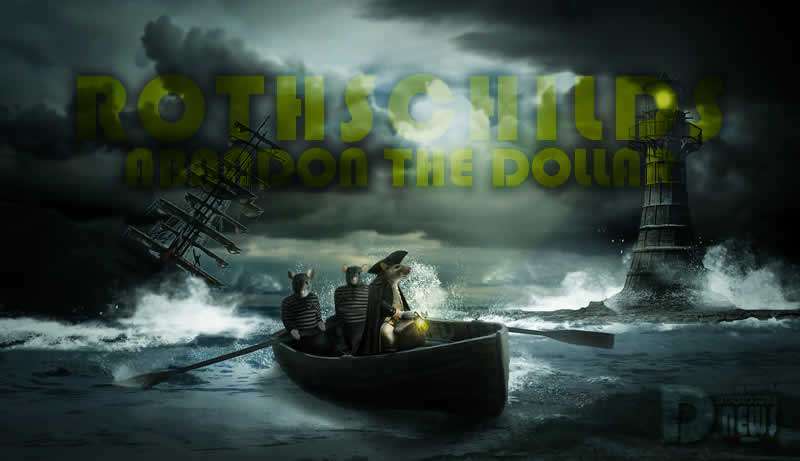 Lord Rothschild says “we do not believe that this is an appropriate time to add risk, share prices have in many cases risen to unprecedented levels at this time when economic growth is by no means assured”. We’re talking about billions being moved around and it is significant that’s when somebody like Rothschild makes a decision like this you know that others will follow so it’s something to really note. 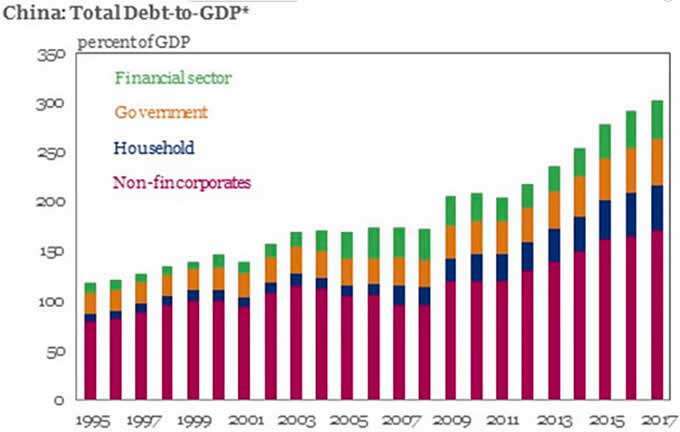 Look at China total debt to GDP, that is a very very telling story not different than what we’ve seen in the US and Europe. Just look at the GDP of areas like Japan, countries like Greece, Portugal, Spain, Italy, everything continues to rise. It shouldn’t surprise anybody, it’s never going to be reduced, maybe for a temporary period of time… the only way is if they’re ready to crash the economy, so we’ll see how that works out. I don’t exactly know how they’re going to get out of this mess, they’ve backed themselves into this corner and I don’t see a way out. Bill Gross said this global yields are the lowest in 500 years of recorded history ten trillion dollars of negative rate bonds this is a supernova that will explode one day. It’s a good word to use for it because the damage will be very spread, everything surrounding this would be ruined at least for a period of time. There’s no way that they can restore this, there’s no way they can turn it around, it is inevitable. Now individuals may experience gains for the next year, two years, five years, maybe even ten years, but when the crash hits it will affect everything. That’s the difference between this time and last time, it’s not just subprime loans, it’s not just adjustable rate mortgages, it’s not just a company failing, we are talking about the entire financial system. We are working hard, and every day, to keep this blog. Like you we are fighting for the truth. If you want to work with us you are welcome, please email us! The blog costs are at our expense, advertising reimburse us very marginally so if you like our work and find it useful buy usacoffee clicking the donation button below that will direct you to your PayPal. We need the help of people like you!